Two CDVs produced by William George Wheatley. A cabinet print produced by Frederick James Holden. 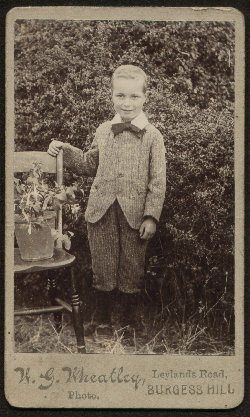 Holden has been located at Church Road, BH between 1907 and 1909. 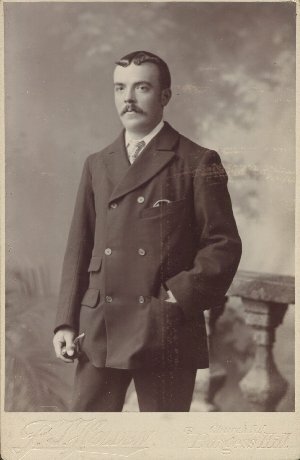 Two CDVs produced by Frederick James Holden. A cabinet print produced by William Hall. Hall has been located at Mill Road, BH in 1895. This print locates him at The Willows, BH. 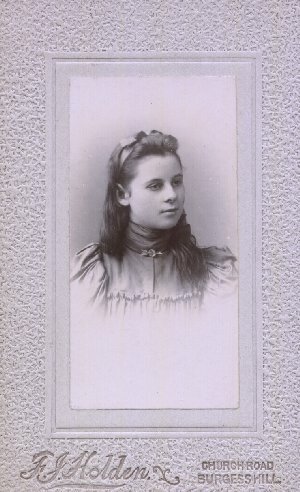 A portrait postcard produced by Walter Cordrey. 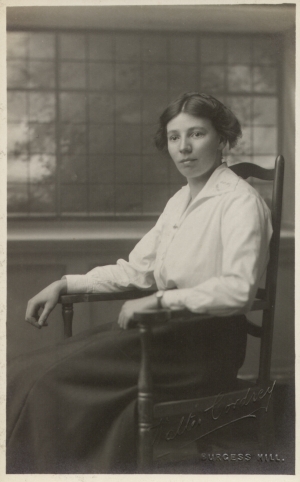 Cordrey has been located working in BH around 1916. 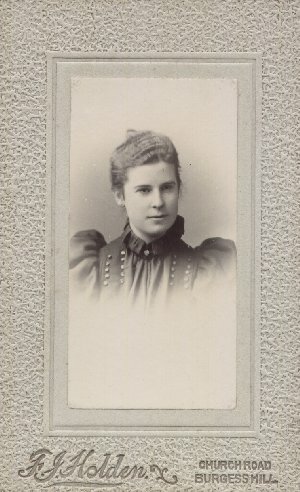 A CDV produced by 'Lawrence'. 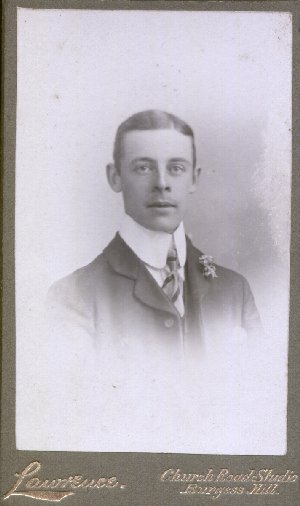 Henry 'Hal' Lawrence was working in Church Road c.1900-1903. 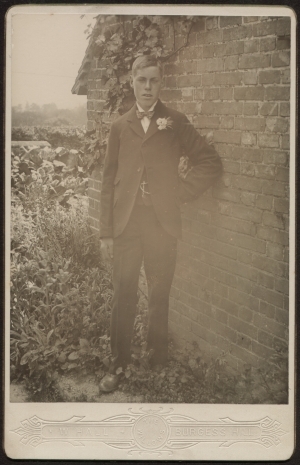 A Mrs. Pattie [or Patter] Lawrence (born 1871) is recorded working as a photographic artist in Burgess Hill c.1901-1903. 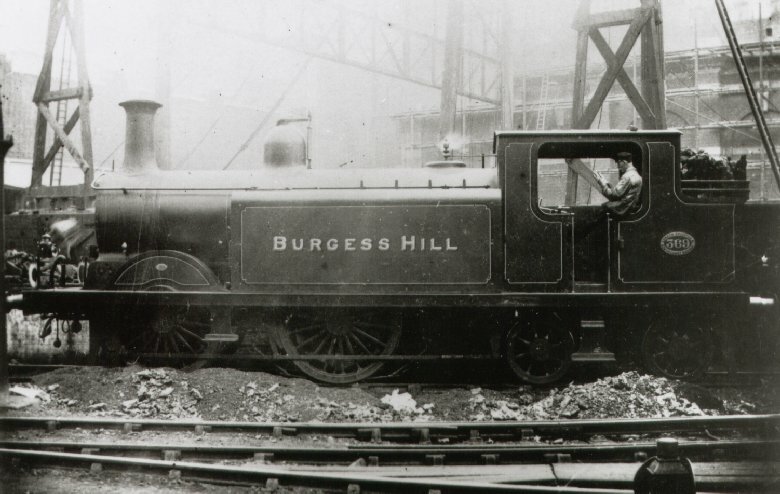 D3 369 'Burgess Hill' (around 1905). May have been taken at Victoria Station during rebuilding work. 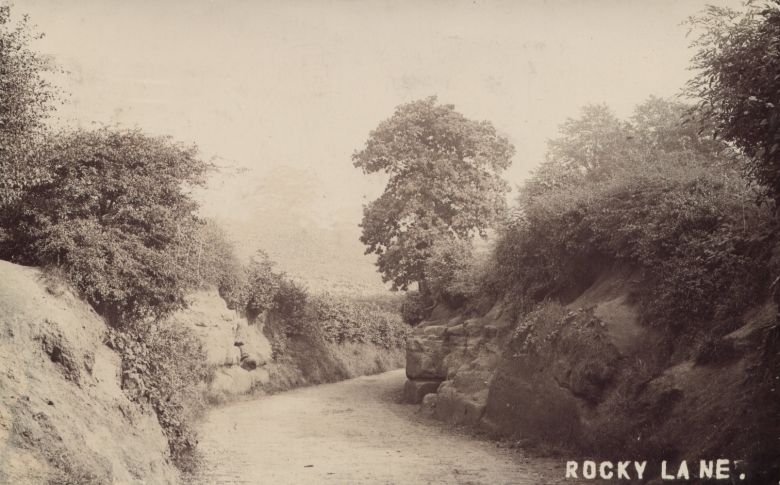 Rocky Lane between Burgess Hill and Haywards Heath. 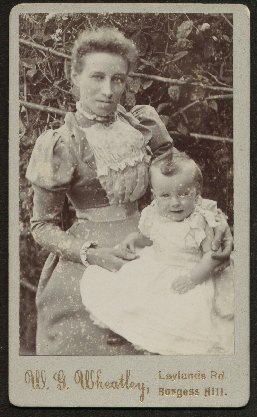 A postcard posted on 14 June 1908 from Birmingham to Miss. Hollins, Market Drayton, Salop. Sheddingdean Farm's Jersey Dairy Herd, Burgess Hill. The sign advertises milk, cream, butter, eggs and Jersey cows for sale. 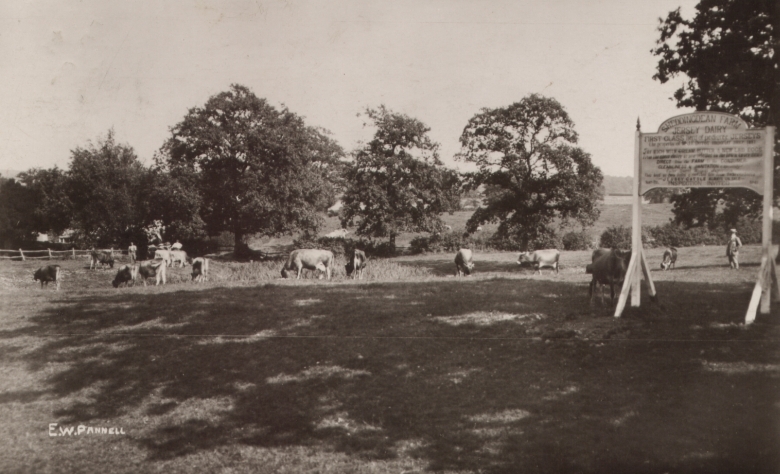 A postcard by Ebenezer William Pannell posted on 20 June 1914 to Sheddingdean Farm, Leylands Road, BH. Back to the Friends Reunited Blurb page.